Girl Talk’s Top Ten Taylor Facts! All you need to know about the star! 1. She can play the piano, banjo and ukulele! 2. Her cats, Olivia and Meredith, are named after characters from her fave TV shows. What’s your perfect hobby? 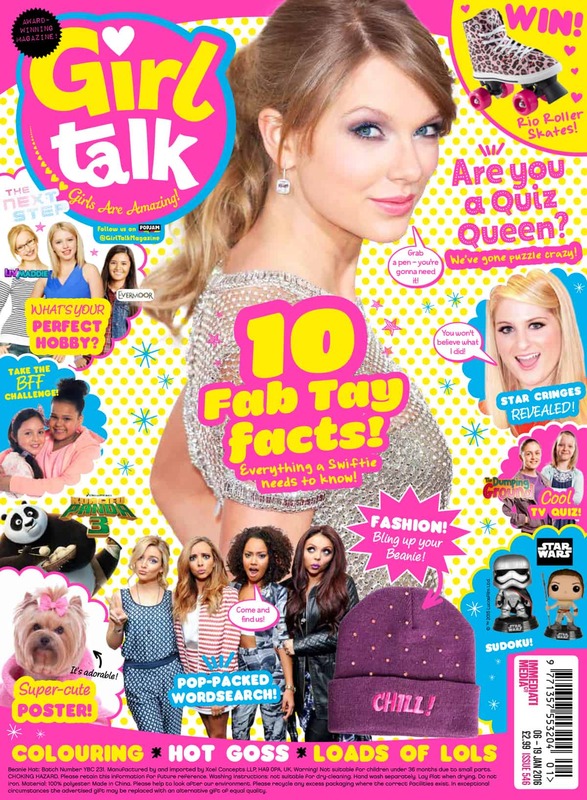 With Girl Talk Magazine! Would You Rather…? With The Evermoor Chronicles! 3. Her lucky number is 13. 5. She wrote her first song when she was 12. She was born to be a star! 6. Her very first job was flicking bugs off Christmas trees at her family’s farm. Eww! 7. Cheesecake is her fave dessert. Yum! 9. She’s obsessed with Disney. Her favourite character is Rapunzel! 10. Selena Gomez has been her BFF for years. Aww!